Cindy Vargas is a Certified Shadow Work® Coach, Certified Shadow Work® Group Facilitator, and Licensed Massage Therapist in Phoenix, Arizona. She has designed and co-led over a dozen different weekend/week-long intensives and is co-creator of the Soul Beauty weekend for women. Cindy both works alone and partners with Shari Marbois to offer Shadow Work® Coaching to individuals seeking significant change and growth. Cindy is also co-creator with Shari and Darren Cummings of the Navigating the Paradoxes Workshop. Raised in Bolivia by American parents, Cindy is fluent in Spanish and has translated Shadow Work® training materials. As a teacher, translator and coach, Cindy has facilitated learning for more than 20 years. She has participated and mentored others in LifeJourney Circle groups and has also completed the training in facilitation with S.A.L.T.S. 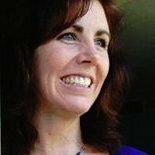 As a Licensed Massage Therapist, Cindy uses her skills and intuition to assist people in healing their bodies and their hearts. Cindy writes frequent articles for the Shadow Work® email newsletter, including Metaphorically Speaking, The Telling Story, What Does the Jester Want?, and a lengthy interview with Shadow Work® founder Cliff Barry, The “Big Guy” and the Three Big Paradoxes. You can reach Cindy by phone at (602) 680-4646 or by email at cvargas20@cox.net.